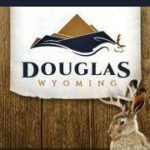 Short Business Description: From logo creation to press releases and developing your company's story, the Sagebrush Marketing team has the creative expertise to get the job done. We specialize in holistic marketing that tells your story through multiple venues, catered to your individual services, products and goals. 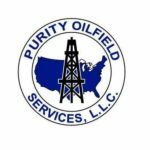 We believe every company is unique and deserves an individualized approach. What is standard — the desire for quality. Whether you're handing out business cards or spreading the word via the World Wide Web, we want to help you showcase your products and services in a classy manner that reflects well upon you and your business. Let us help you meet your goals! 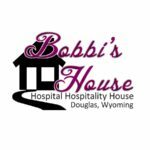 Short Business Description: Bobbi's House is an important ministry of Christ Episcopal Church in Douglas, Wyoming. Similar to a bed and breakfast, Bobbi's House is a Healthcare Hospitality House that serves the Douglas community. Bobbi's House provides a home-like sanctuary for its guests. 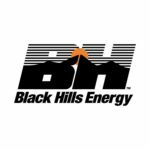 It is for patients awaiting surgery, discharged patients awaiting follow-up appointments or treatments, or out of town caregivers of patients in Douglas healthcare facilities. Bobbi's House is available for lodging during family or community emergencies, even if it does not involve a hospital admission. There are four private sleeping rooms, a kitchen, living and dining room and other amenities. We provide a comfortable common area, dining room, kitchen, computer, telephone, and laundry facilities. Conveniently located a half block from the hospital, we have four bedrooms available, including one handicapped accessible. The House is fully funded by donations and there is no charge to stay at Bobbi’s House. It is overseen by a nine-member board of directors with five of those members appointed by the Vestry of Christ Episcopal Church. Volunteers operate on an on-call basis to staff the facility.